In May last year, triathlon coach Simon Ward announced his personal goal for 2014 - to qualify for the Ironman World Championships at Ironman Lanzarote in May. 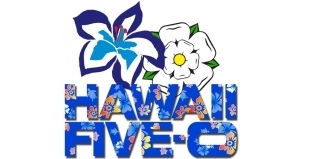 Turning 50 this year, project "Hawaii 50" was initiated. Following that, we've followed Simon's Phase Plan of how he was going to tackle the task, learned about his support team, watched him get out of shape... and then get back into shape! I used to hate getting my end of term reports, usually because when I was at school I didn't try as hard as I should ...except when it came to sport. Then I showed interest. Looking back on this years later, I loved his sarcasm and wit. Sadly, teachers have to be far more reserved these days to avoid upsetting the little cherubs. Swimming (9/10) - Simon has always been a good student of swimming and he shows no sign of letting up. He is now back in the top stream and he continues to work hard to catch up with the younger students in the group. Progress has been good and he is even ahead of last summer's performances, let alone from the comparative period last year. If he can maintain this enthusiasm there's no reason why he can't be top of the class in May. Cycling (8/10) The middle of the pack seems to be Simon's natural level in this class. He works hard and no one could doubt his application. His ftp score of 285 is ahead of where it was this time last year but still behind his predictions for the end of the year. He will have to work much harder in the next term if he is to make up for lost ground by the time of his exam in May. Running (7/10) - Simon is not a natural runner. In the past he has struggled with regular attendance and often comes armed with a doctors note to explain his absence. However, after a period of private tutoring he finally seems to have turned a corner. His attendance this term has been exemplary and he is definitely making progress. There is along way to go until he gets into the top form but if he can make up for a lack of ability with some hard graft, I'm sure he will do well. Strength & Conditioning (6/10) - This subject was made for Simon. he came to the class with a great deal of knowledge and he has been keen to help others in the class who don't have quite the same enthusiasm. In the past this has distracted him from his own studies, but not this year. He is leading from the front and only has to maintain his performances to achieve greatness in this subject. One black mark against Simon is that he failed to attend a single class of yoga. Despite making big noises about this at the beginning of term, he has yet to follow through on his promise. I expect more next term if he is to achieve his goal. Nutrition & Weight Management (6/10) - This is an area where Simon can make real progress. His understanding of the subject is great but sometimes putting this into practice seems to be a step too far. After a great exam result last year his standards slipped in the run up to Christmas. This is an area where he must work very hard not just to get back to where he was, but to move forward. As seemed to be the case in his younger years, he has talent but must try harder. Lifestyle (7/10) - I've always felt that Simon's lifestyle stopped him achieving what he was capable of. This term he has really made an effort. I've noticed more energy during the day because he is getting more sleep. He tells me that blackout blinds and single duvets have helped to improve sleep quality as well. I understand that he has altered some of his after school commitments to get more relaxation in the evenings and adjusted some of his hobbies to allow full concentration on his goal for the year. He still has room for improvement but I've been very pleased with his progress so far this year. In most college's a 70% mark would be good enough to earn a first class degree. Not here! He has set some lofty goals for his end of term exam in May and unless he can raise his game in the next few months he will fall well short. He has submitted an application to the Hawaii Ironman University for next October. This college has extremely high standards and only the best get accepted. Simon will have to be one of the top three students in May. Its a tough ask, but if he applies himself well and does everything in his power he may well be in with a shout.